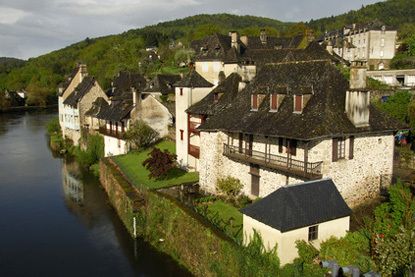 Village of Turenne in Corrèze, Limousin. The Limousin ('Limoges's country') is a verdant, hilly and forested region at the heart of France. 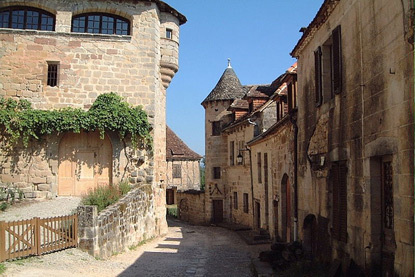 It is one of the most off-the-beaten-track destination, lacking any city of consequence (Limoges has barely 140,000 inhabitants), but is nevertheless attractive for its charming or quaint little villages, many of which are listed among the most beautiful in France. The Limousin is the least populous mainland French region (pop. 735,000) and the least densely populated (43 inhab./km², 7.5 times less than the Nord-Pas de Calais). The region's economy is essentially agricultural, renowned for its herds of muscular Limousin cattle and its oak orchards, used almost exclusively for making cognac barrels. The chesnut is the symbol Limousin. The most famous local dessert is clafoutis, a thick flan-based cake with black cherries. A variation is the flaugnarde, made with apples, peaches, pears or plums instead of cherries. Until the 16th century, Occitan was the official language of Limousin, and it is still spoken or understood by the majority of the population. 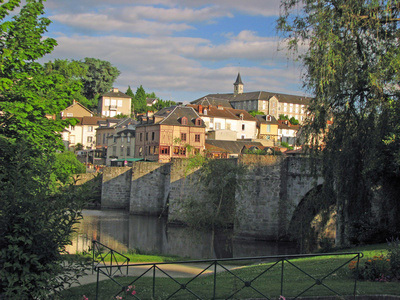 Famous people from Limousin include (chronologically): the chemist and physicist Joseph Louis Gay-Lussac, the painter Pierre-Auguste Renoir, and President Jacques Chirac. 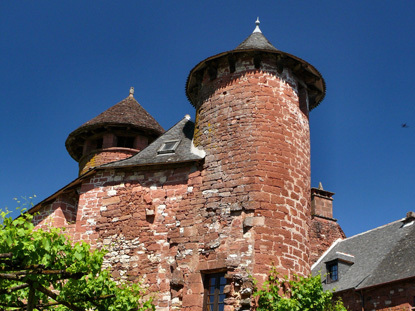 Collonges-la-Rouge is one of France's quaintest and prettiest village. It is entirely built of bright red bricks, which confers it a singular appearance. The association 'Les Plus Beaux Villages de France' was founded here in 1982. Curemonte is a lovely medieval stone village with the unique characteristic of having three castles. 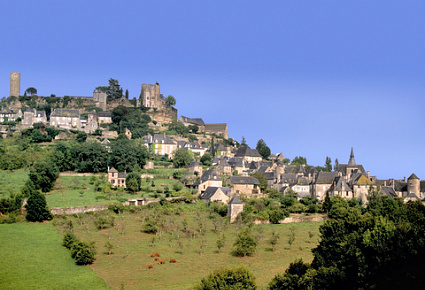 The delightful village of Turenne, strategically sited on a limestone hill, is regularly short-listed as one of France's most beautiful villages. Turenne was the seat of an independent viscounty until 1738, a state in its own right within the Kingdom of France. 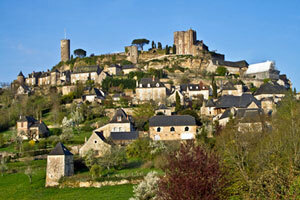 An alluring village on the Dordogne River. Limoges is the capital of the Limousin, a remote, oldfangled city, with a strong socialist base. Limoges is known for its medieval enamels on copper, for its 19th-century porcelain, and for its oak barrels, used for Cognac production. 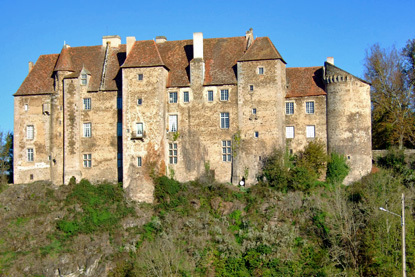 Boussac is an appealing late medieval castle overhanging over the Petite Creuse River. George Sand and Pierre Leroux both stayed there in 1870.